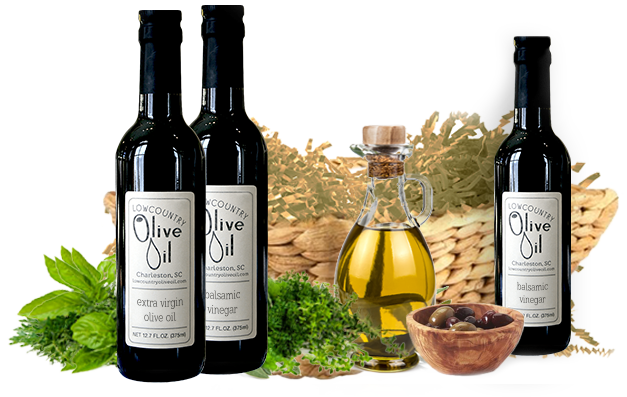 Lowcountry Olive Oil - Your Charleston Olive Oil & Balsamic Vinegar Shop! Shop the largest selection of gourmet oils and vinegars in the Charleston Lowcountry...online! Our Exclusive Lowcountry line of olive oils and balsamic vinegars are hand blended or infused in Charleston! Not sure where to start? Send one of our Gift items like this perfect Dipping Sampler! Includes three of our signature extra virgin olive oils, one traditional aged balsamic vinegar and one pack of Charleston Spice Co Mediterranean Blend Dipping Spices. Did we mention it comes gift wrapped?! 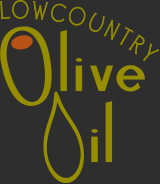 Established in 2011 as a farmers market based business, Low Country Olive Oil now carries over 60 olive oils and vinegars; the largest selection of on tap oils and vinegars in the Charleston Lowcountry. Over 50% of the company's olive oils and balsamic vinegars are blended or infused in Charleston and are exclusive to Lowcountry Olive Oil.